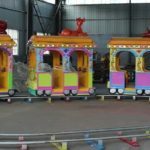 Coin operated kiddie rides have delighted children across the globe for nearly a century. A quick search online and you抣l read about the interesting history of these rides. James Otto Hahs created a mechanical horse as a special Christmas present for his children back in 1931. He even used real cow`s tail for the horse`s tail. James quickly realized that his invention had a ton of potential, and so he set out to build a coin-operated version. The following year, James released the Hahs Gaited Mechanical Horse. This earned him numerous design and invention awards. James then collaborated with the Exhibit Supply Company to distribute his mechanical horse to a wider market, receiving 5 percent of total profits in the process. This may not appear like a great deal for James, but it enabled him to rest comfortably in his backyard to tinker and invent more toys and rides for children. 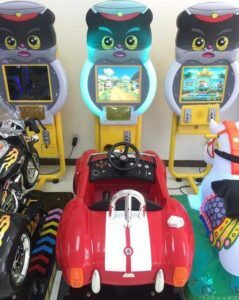 If you ask your parents about kiddie rides, there`s a good chance they`ll tell you a lot of fun memories from their childhood. 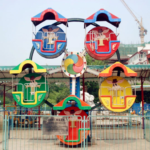 Back in the 1950s, these amusement rides were so popular that every kid simply wanted one. 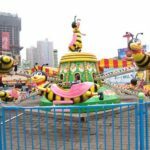 They were commonplace in funfairs, and kids would line up with their guardians, waiting patiently for their turn to climb up their favorite ride. 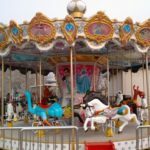 It is natural to assume that kiddie rides are no longer as popular as they once were, and recent studies show this to be true. But this doesn`t mean they`re becoming obsolete. 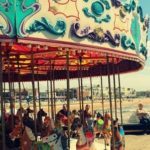 Plenty of children still love these amusement rides, and they look forward to funfairs and other events where they can experience the one-of-a-kind feeling of riding a coin-operated machine. 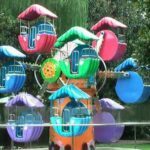 Perhaps part of the reason why these amusement rides remain popular is the excitement it provides within a short amount of time. When kids ride them, they know that it will only last for a while. This subconsciously tells them to make the most out of the little time they have, elevating their eagerness and satisfaction to unimaginable heights. And once the ride stops, they simply crave for more. It`s much similar to eating a small bar of chocolate: it`s hard to resist getting another bite. 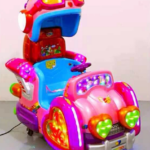 Manufacturers of kiddie rides continue to make innovations to keep things fresh and interesting. Advancements in technology have enabled them to build amusement rides which were unfathomable back in the days of James Otto Hahs. Without question, the kiddie ride has gone on a long journey, and it`s one that isn`t like to end any time soon. This coming holiday season, kiddie rides will surely be a hit among children. Even parents love letting kids enjoy the rides, especially in today`s digital age where children are glued to their smartphones, laptops and gaming consoles all day. Watching the children have some fun while riding provides a special feeling of comfort, and it brings back memories from childhood that could very well be one of their fondest experiences in life. 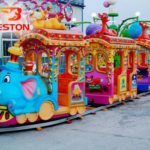 What Are Kid’s Train Ride Adventures?